Asia is where the economy is growing more rapidly than anywhere else in the world, and it is widely believed that the continent will witness even greater growth in the future. Yet despite the region’s obvious importance Europe clearly suffers from a serious shortage of young professionals able to operate freely and effectively in the major regional languages, combined with profound insights into the ways in which business and management operate in East Asia. The European Institute of Japanese Studies (EIJS) at Stockholm School of Economics sees it as its mission to help rectify this situation. To do that we have initiated a Doctoral Program in Asian Economy and Business to significantly raise the requisite level of specialized competence and knowledge among talented young European economists. 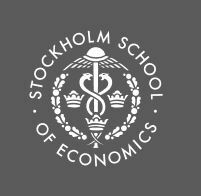 The PhD Program in Business Administration at the Stockholm School of Economics (SSE) prepares our graduates to be successful researchers or to advance in their chosen careers. The doctoral program fosters close interaction between students and faculty, and every doctoral student belongs to a research group specializing in a particular field of research.